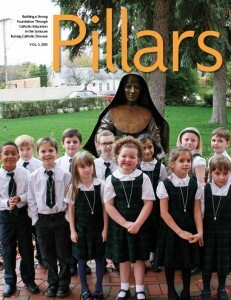 Welcome to our latest edition of Pillars magazine where we tell the story of Catholic education in the Diocese of Syracuse. As we continue to celebrate the Year of Faith across our Universal Church, I am constantly reminded of the great gift that Catholic schools contribute to our faith community here in Central New York. Since its founding 125 years ago, our local diocese has counted on Catholic schools to pass on the traditions of the faith in an academic environment that expects excellence, promotes self-discipline, and, above all, teaches young people the Gospel message of Jesus Christ. Indeed it is an awesome responsibility, but it is one that we welcome and embrace each day. And thanks to the work of our dedicated teachers and outstanding administrators, we are succeeding in this ministry. A 2012 study conducted by the Center for Applied Research in the Apostolate (CARA) at Georgetown University revealed that 62 percent of parish leaders attended Catholic primary school at some point in their lives. And, almost 50 percent of parish leaders stated that they attended a Catholic high school. So while there can be no doubt that our parents, our alumni and our parishes make significant sacrifices to support Catholic education, we believe that it is well worth the long term investment if we expect our Church to thrive in the future. This is the story that we must tell: Catholic schools remain an effective tool for passing on the traditions of the faith and are necessary in forming our Church leaders of the next generation. We thank all of those who continue to support this integral mission of the Church. 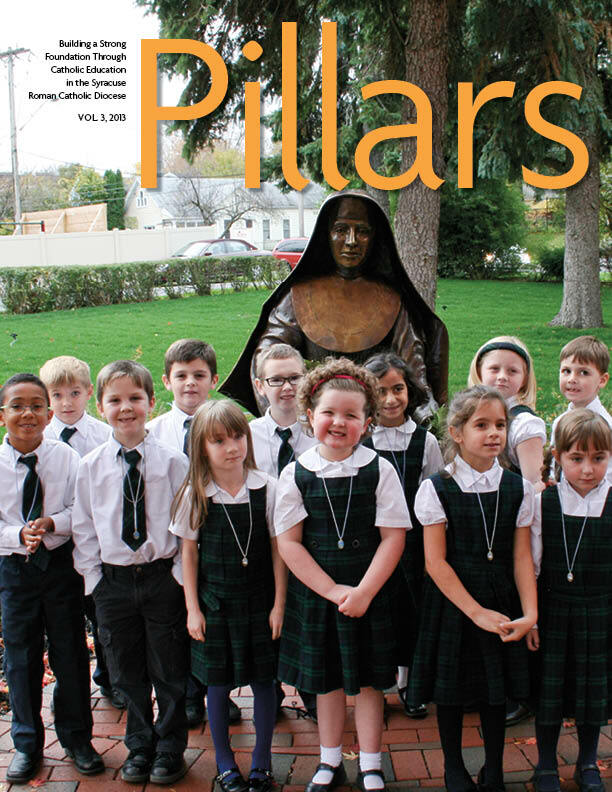 We hope that a glance at this edition of Pillars will make everyone proud of what we are accomplishing in our Catholic schools across the Diocese of Syracuse.